The Bungalow was a fabulous cement tile project to work on. Designed by Brent Bolthouse and Studio Collective, The Bungalow has received rave reviews, and is said to have revived the night life at the Fairmont Miramar Hotel, in Santa Monica. 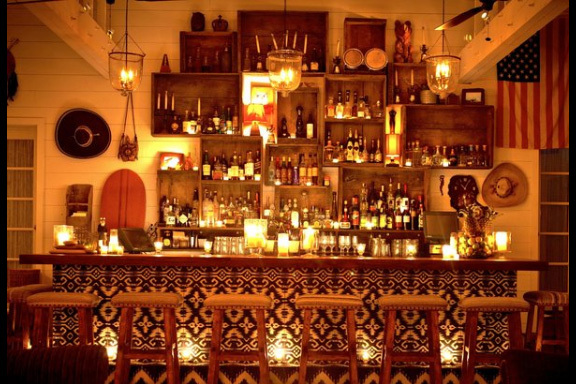 They used our Ikat series cement tile on the bar. For the game room floor, they selected our Colorful Patchwork cement tile. 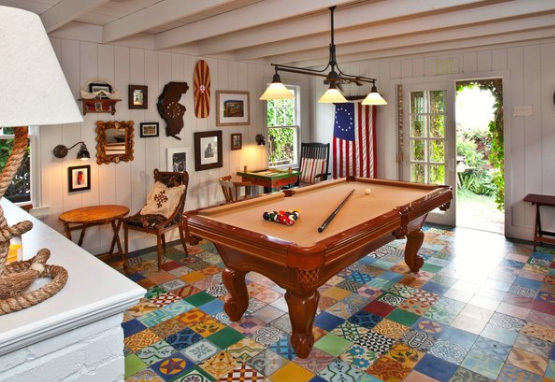 Of the patchwork, the L.A. Times quoted Bolthouse: "It's playful, so we put it in a room with a billiard table we scored on Craiglist, because a game room doesn't have a lot of people in it, so the floor wouldn't disappear." 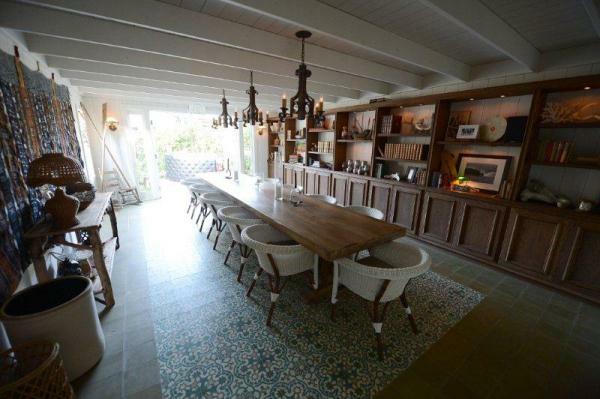 They also used our Havana Cantina cement tile pattern in an intimate dining room.